Truckloads of food and medicine for lions, horses, donkeys, and other ill and hungry animals were among the relief supplies flowing into the Gaza Strip from Israel following the recent three-week war. 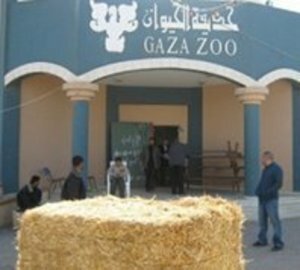 It was no easy feat getting help to the inhabitants of the Gaza Zoo and to other wild and domesticated creatures in an area hostile to the Jewish state. Oh Gee, I wonder why it would be hostile to the Jewish State, especially now. But Eti Altman, co-founder and spokeswoman of Israel’s largest animal-welfare organization, Let the Animals Live (LAL), is tenacious in her mission to alleviate suffering. You will note the name of the organisation, which sounds so noble. I suppose the name of the organisation that represents Israel and the policy the absolute majority supports of bombing the living daylights out of Gaza as Let the People Die (LPD). I suppose alleviating suffering is important only for animals. Since its beginnings in 1986, LAL has sheltered and found homes for 35,000 dogs and cats, neutered 50,000 strays, and provided veterinary care to thousands of abused horses, donkeys, crocodiles, dolphins, camels, and members of other species. LAL’s lobbying efforts have resulted in Israeli legislation banning practices such as exportation of dogs and cats to the Philippines for food; “entertaining” dog fights and matches between men and crocodiles; baboon breeding for experiments; university laboratory experiments on monkeys; and the exploitation of wild animals by circus owners. It is also working to stop the importation of live animals for slaughter. Again, it seems odd that since vegetarianism is not part of the canonical Jewish diet, it stands to reason that animals that are slaughtered first have to be alive. This might be another name for protectionism, but I was also under the impression that the strict dietary laws for observant Jews would seek to bring the animals in alive, so that the butcher could apply the correct steps to the slaughter. Oh well… this one will just remain a mystery to me. Altman’s assistant general manager, Ilan Lusky, explains to ISRAEL21c that the organization first learned that lions in the Gaza Zoo were in distress at the end of 2007. Their food supply was limited because of blockades in the wake of attacks on Israeli border towns. Now, how could they imagine that the king of the jungle would have its share of meat if there was nothing coming in even for humans? And, not to neglect, they have to insist in the propaganda that the blockade was caused by Palestinians… sure… sure. Altman made phone call after phone call to Hamas government officials, determined to take the lions to a foster home in Israel. The offer was consistently refused. Well, check that out! They were sure they could waltz right out of there with the animals in the zoo, and they expect us to believe they were calling Hamas officials to arrange it! That’s a mighty tall story! But as the dawning of 2009 brought with it retaliatory Israeli raids on Gaza, Altman renewed her efforts to assist the zoo. Double dose of propaganda: the war is called “retaliatory raids” and the dear activist is very worried about the occupants of the zoo, so compassionate are Israeli hearts…. Hamas would prefer, it is thus implied from the previous paragraph, to let the poor beasts die. This segment is so absurd, it really doesn’t deserve a comment. It speaks for itself. Altman worked around refusals of direct aid by establishing contacts with government officials and Palestinian and international animal-relief groups such as Veterinary World Service. The Israeli Ministry of Defense granted permission for the entry of 30 truckloads of oats, hay, and veterinary supplies into Gaza. LAL volunteers brought in the goods over a period of weeks and transferred them to local Arabs for delivery. The last two trucks were dispatched on Tuesday. An official “thank you” was neither forthcoming nor anticipated. It seems they feel bad about not getting thanked for the oats. But… the question begs, since when do lions eat oats? LAL also launched a campaign to bring relief to pets affected on both sides of the conflict. Many pets were abandoned when their owners fled, or went hungry because they were unable to earn a living while under siege. Again, the extent of the enormous human drama is not even hinted at… people fleeing, starving, unemployed and desperate under a seige worse than what would have been done in the middle ages. It’s the pets, folks, the pets have to be allowed to live, they don’t vote Hamas. During the war, Altman went to hard-hit southern Israeli cities with veterinarians and other volunteers to help local animal-welfare groups rescue homeless animals and distribute donated food. This initiative has extended beyond the ceasefire. You read a sentence, “bombed cities”, you think of Gaza City, Khan Younis, Rafah… not to the LAL folks. LAL’s shelter in Ramla houses 200 dogs and 70 cats, some of them war refugees. Lusky coordinates volunteers at the shelter, and welcomes help from tourists. If LAL can raise enough money, it will set up free veterinary clinics in war-ravaged areas. In cooperation with Israeli pet supermarket Pet Point, it is offering emergency care packages for purchase through letlive.org.il. And if donors are found to foot the bill of $170-$350 per truckload, LAL hopes to continue sending aid to the Gaza Zoo and to domestic animals in Gaza. In fact, although offers to find new homes for Gazan animals in Israel still are being rebuffed, Altman dares to hope that a continuing relationship can ease hostilities. And why should they give up their animals? To make a propaganda tool even bigger than the one of the lorryloads of oats? Wouldn’t access to food and supplies be the best solution for humans and animals? This is not something that the LAL people would consider, surely. For information on donating or volunteering, call Ilan Lusky, +972-3-624-1776, ext 5. A couple of days ago I wrote an article called Humiliating the USA an Israeli Hobby. As the title suggests, it was about the bizarre, inverted power relations between the mighty USA and the tiny State of Israel. The article hinged on a recent boast by Prime Minister Olmert that he ordered the US President to abstain on Resolution 1860 in the UN Security Council. I presume that report was accurate. The source was AFP. Major news agencies such as AFP are typically considered ‘reliable’ sources. Even so, we can never assume that any source is 100% reliable. Journalists can make mistakes. Their sources can be mistaken, or lie deliberately. In the article, I made a brief reference to an older instance of the same type of bragging by an Israeli PM. Back in late 2001, Ariel Sharon was quoted as saying: “don’t worry about American pressure, we the Jewish people control America” in a conversation with then cabinet member Shimon Peres. I reported this outrageous Sharon quotation story for two reasons: (1) I believed it was true, and (2) it was relevant to the story as a whole. But is it really true? Two days ago, I thought so. Now I’m not so sure. The main reason I’d believed the quotation to be accurate is because it was repeated on a number of websites that in other instances I’ve found to be useful and credible sources of information. In my article, I gave a link to Media Monitors. I could have chosen Mid-East Realities or the Washington Reports on Middle East Affairs. The latter, in particular, has a lot of invaluable material, especially of a historical nature. I recall reading years ago that the veracity of this quotation is contested – and probably checked out CAMERA’s rebuttal at that time. But I hadn’t found the denial particularly persuasive. CAMERA (the Committee for Accuracy in Middle East Reporting in America) is, after all, 100% biased towards Israel. Its own reputation for integrity is very poor. But now, pushed to look deeper into the origins of this story (prompted by the editor of the Beyond the Fringe website who has a refreshing appetite for accuracy), I’ve learnt more about the original report on which the other reports were based. The story seems to have come from only one source: the Islamic Association For Palestine (IAP). It’s a source that’s clearly biased to the Palestinian cause. That’s not to say it was lying about the story – or in error. But I can’t be sure. 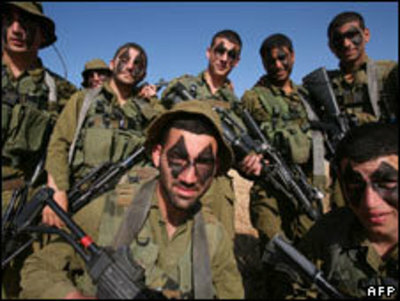 In December 2004, a federal judge in Chicago ruled that IAP (along with the Holy Land Foundation for Relief and Development, or HLF), was liable for a $156 million lawsuit for having aided and abetted Hamas in the West Bank killing of a 17-year-old American citizen named David Boim. IAP thereafter had its assets frozen by the U.S. government and was shut down on grounds that it was funding terrorism. Hmmm. That’s one way to knock out ideological enemies, I guess. Of course, if Palestinian minors were ever valued on a similar basis, the US national debt would double overnight. All in all, I now feel it’s not possible to use the Sharon quotation with confidence that’s it’s accurate. There are too many unknowns. At least, that’s my current view. I reserve the right to change it again if new information becomes available. This is not an unusual case. It’s quite typical of the difficulties of working through conflicting narratives of the conflict over Palestine, trying to make sense out of apparent confusion. It’s common to encounter all three of these in discussions about Palestine and Zionism. Working out which is which is too time consuming for most people, even if they had sufficient interest. Of course, ‘most people’ believe (or hope) that they don’t need to do their own analysis. They trust the mass media to do it for them. That’s a big problem. The western mass media’s longstanding Zionist bias is shocking. Another recent case of pro-Palestinian misinformation – or possibly disinformation – was a video that flashed around the web in early January. I saw it first on another website and reposted in A Surgical Strike: The Palestinian View on January 2nd. “What no acknowledgment Syd that this video has now been removed from all other credible sites on the web, including pro-palestinian, because it is a fraud which shows the explosion of Hamas rockets at an Hamas rally in 2005” Update: THIS VIDEO IS MISLEADINGI was deceived by the video I grabbed and uploaded from here. The video was not taken on January 1st 2009. It was not taken in a civilian market, and it was not the result of an IDF air strike. This video is from September 23rd 2005, and was taken in the Jabalya refugee camp in the northern Gaza Strip. A Hamas pick-up truck carrying Qassam rockets detonated by mistake during a Hamas rally, leaving at least 15 killed and dozens more injured. In recent days there has been some debate about the video in question by wiser heads than mine. The consensus seems to be that the footage was indeed not from the current conflict in Gaza. 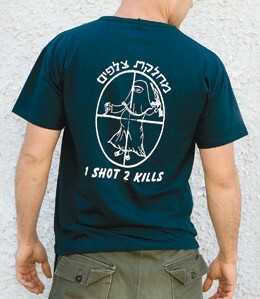 Score One to the Zionists. However, I was only concerned in my post to present an indication of the utter horror on the ground from a Palestinian perspective – to contrast it with an Israeli-style high-tech, sanitized and unemotional perspective on killing fellow human beings. It was fairly easy to find another, valid current video from the conflict as a replacement. That’s what I did. I didn’t post the annoying Zionist comment at the time. This is my blog and I am not here to do favours to Zionist apologists. They don’t get a bad run for their anti-human views in the mass media. I intend to help to redress the imbalance. Nevertheless, honesty matters. It matters a lot. In the end, honesty is crucial to those who want a healed world based on truth and reconciliation. Hence this article. It’s worth noting that, at the time this video was first posted, Israel was blocking all mass media’s access to Gaza. Reports of the horror inside the crowded strip of land were necessarily scant and below professional standards. That’s what un-embedded journalism from a real war zone is like. As for Ariel Sharon and his notorious brag, who knows whether he said it or not? Even if it’s possible to get an accurate transcript of the initial radio report (I doubt that), the story itself could have been based on a false or exaggerated report. The comments allegedly made by Ariel Sharon were allegedly directed at Shimon Peres. Perhaps they’re the only ones who know for sure what was said? Sharon is not talking these days. President ‘Sir’ Peres can talk (and some! ), but has a track record of lying on crucial issues that’s at least half a century long. The ‘facts’ of that particular matter may never be clear. There’s something else to bear in mind. Even if Sharon’s ‘We control America’ quotation is disinformation (that is, a deliberate lie), we can’t necessarily conclude Palestinians are authors of the deceit. It’s a possibility of course, but it’s also possible that Zionists seed these false quotations, rather like the Martin Luther King fake quotation that I reported on previously. Why would they do that? Why might some of the Zionist strategists think it’s a good idea to have quotations circulating widely on the web that make Sharon sound even more obnoxious than he actually was? I can think of a few reasons. First, they will assume that most people will never see the quotes, which would be generally avoided by the mass media (even if accurate). Those who do see the quotations fall into a few camps. There’ll be those who think it’s fine that Israel does control America. Others will be shocked – but scared to say anything about it. In their case, the quotation may help freeze them up with just a little more fear. Then there are folk like me, who are very pissed off indeed with the Zionists and what they’ve been up to. We’re so angry, in fact, that we blog about these subjects regularly. Quotes like Sharon’s ‘We control America’ are tempting to use if they seem credible. IF these quotations turn out to be false, it gives the Zionists a ‘gotcha’ moment. On a bulletin board or forum, a discussion about the horrors of Israeli strikes on Gaza can easily degenerate into a squabble over the accuracy of a single quotation. The very concern that many people have (and rightly so!) 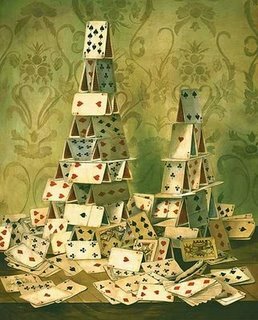 for accuracy and truth, can be used to distract us from the really significant facts of the moment. A Truth & Reconciliation Commission was established in post-Apartheid South Africa to help its people face up to a sordid past and establish a truthful basis for peaceful co-existence. The equivalent in post-Apartheid Palestine will face a challenge of considerably greater complexity.